The services come as a result of funding announced by the Federal Government in June, which dedicated $11 million dollars towards improved Alcohol and Other Drugs (AOD) support services in the region. They will provide a significant boost to the level of support provided by Lives Lived Well for people affected by the problematic use of alcohol and other drugs, including methamphetamine (ice). As a part of this funding Lives Lived Well will also be constructing a 20-bed live-in recovery residence, due for completion in 2019. Senator James McGrath said the announcement would go a long way in dealing with drugs and alcohol across the Caboolture and Bribie Island region. “The local community has been calling for additional support services and I’m delighted that the Liberal National Coalition Government has been able to deliver $11 million dollars in funding. “This funding will help save lives and stop people slipping through the cracks from drugs or alcohol. 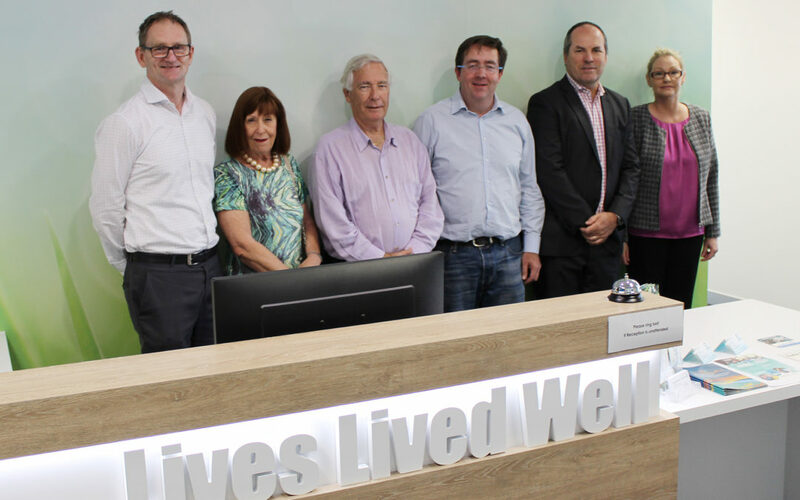 “Lives Lived Well is a brilliant not-for-profit organisation and this funding will enable them to continue their work in helping victims and families impacted by drugs or alcohol. Lives Lived Well CEO Mitchell Giles emphasised the importance of these new programs saying the addition of withdrawal and rehabilitation day supports puts extra counsellors in the field and means more support for more people at different stages of their recovery over a longer period. “Since opening in late 2016, our Brisbane North services have seen 1813 people, including 570 from the Caboolture area. Most named methamphetamines (ice) as their primary drug of concern, with alcohol and cannabis also presenting strongly,” Mr Giles said. “In some ways this is a positive sign. It means people are recognising that they have a problem and are comfortable in coming forward for support. That step alone takes courage.Lives Lived Well is a not-for-profit support organisation for people impacted by drugs, alcohol or mental health concerns. People who are thinking of addressing their use of alcohol or other drugs can contact Lives Lived Well on 1300 727 957.